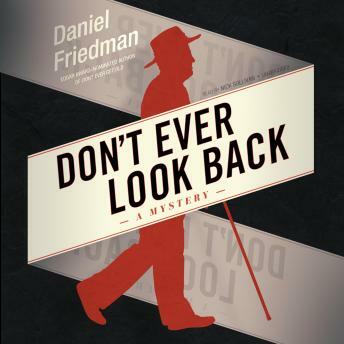 Twentysomething Daniel Friedman’s debut hit novel, Don’t Ever Get Old, was a huge critical and word-of-mouth success. Now his unforgettable protagonist Buck Schatz is back, and once again this eighty-eight-year-old retired Memphis cop refuses to go gently into that good night. Having sustained injuries in Don’t Ever Get Old, Buck is living at a retirement home with his wife, and he’s downright miserable being treated like the elderly person he is. But soon, Elijah, a man from his past, pays Buck a visit. Elijah offers Buck a tidy sum to do him a favor, and Buck is eager to close the book on a series of robberies that he could never solve. But things soon go downhill—way downhill. Written in Buck’s signature voice and featuring a mystery that will knock your socks off, Don’t Ever Look Back is another home run by an author with a long and star-studded career ahead of him.